When it comes to children’s party food we all know that the grown ups get just as excited about it as the kids do. For me I love it all but I am particularly fond of a homemade sausage roll. This recipe is a ripper and a total crowd pleaser! You can make all sorts of variations just by adding herbs, spices, curry pastes, sesame or poppy seeds on top. Just go experimenting and enjoy the rewards. 1. Separate the puff pastry sheets while frozen and allow to thaw while you prepare the filling. 3. Add the tomato paste, worcestershire sauce, breadcrumbs, grated carrot, zucchini, S & P and eggs and mix really well. 4. Cut each thawed pastry sheet in half. 5. Divide mixture into 10 and then spread a strip of mixture down the middle of each pastry sheet. 6. Using a pastry brush moisten the pastry edges with water. 7. Fold one edge of pastry over the strip of mixture then fold the other side over. 9. 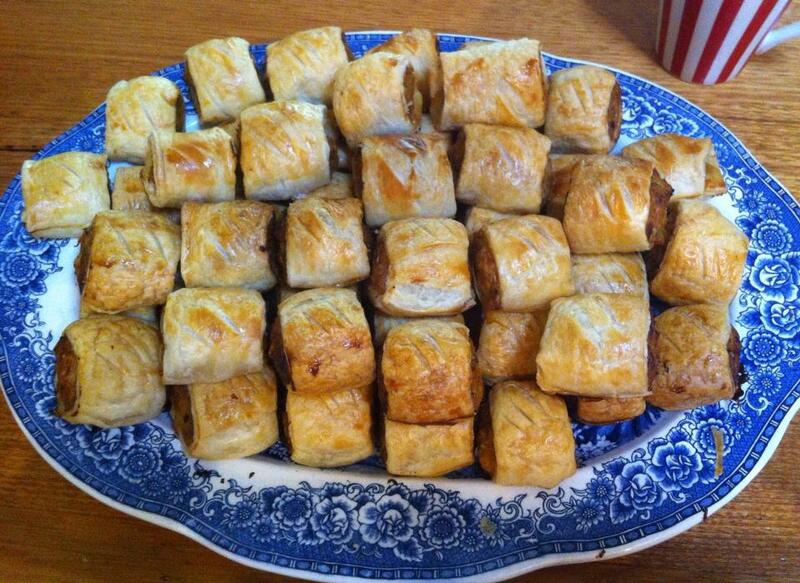 Glaze the sausage rolls with milk or a beaten egg. 10. Bake at 180C for about 20-30 minutes or until golden brown.